In 2002, Kylee White capped off her collegiate career with the most successful season for Ohio State’s women’s lacrosse team with an 11-5 record and a No. 12 national ranking. 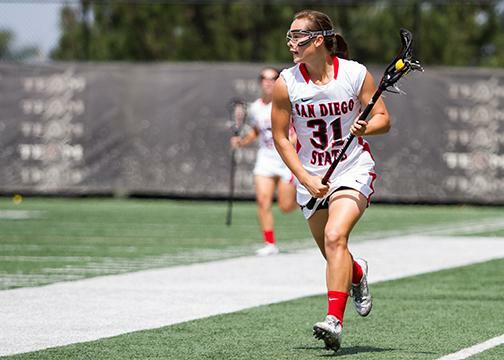 For a year like that, which came a year after helping her native country of Canada place fourth in the International Federation of Women’s Lacrosse Associations World Cup, it’d be natural to think she would continue training or find a coaching job right out of college. But that wasn’t true for White, who stuck true to her bachelor’s degree in education and went into the world of teaching. It wasn’t until her time as a teacher in a boarding school that she found her love for coaching. 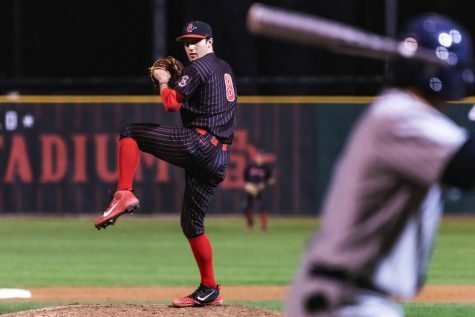 That passion has propelled a 10-year career that has seen the Ontario native coach at Stanford University, OSU, Loyola University and University of Maryland. And for the last four years, she’s been the head coach at SDSU. In 2007 she also was named an assistant coach of the U-19 Canadian National Team, which had she played on 12 years prior. 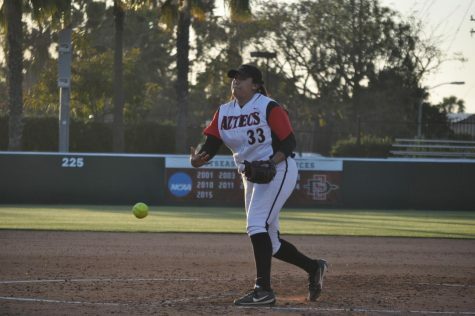 In her time as an Aztec she has turned a fledgling program that was granted Division I stature in her inaugural season at the helm into a dark-horse contender in the Mountain Pacific Sports Federation. 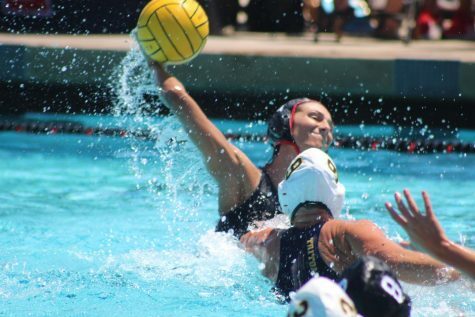 Last season White guided her team to its first winning campaign in school history in the program’s fourth year, which was a feat in itself, as the program had a rocky start. 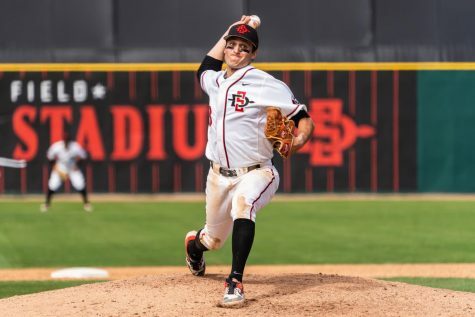 That year the Aztecs went 5-10 overall and 2-5 in conference, both record lows. 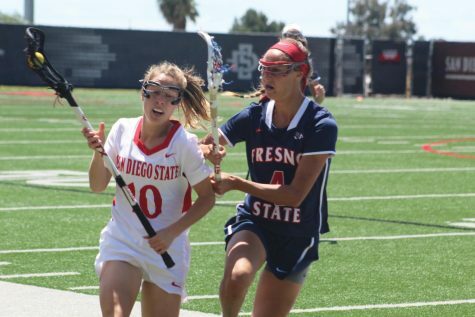 However, fast-forward four years and White will remain the only head coach in Aztec lacrosse history until at least the 2018 season, as she had her contract extended earlier this year. 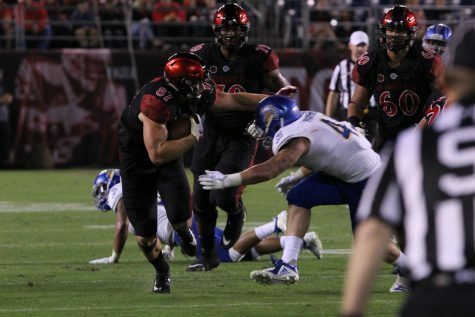 The extension could not have been easier for SDSU Director of Athletics Jim Sterk to offer White, who carried the momentum of her best season at the reins into her best summer of recruiting. The 12-person freshmen class is the best in program history and will contribute immediately, White said. 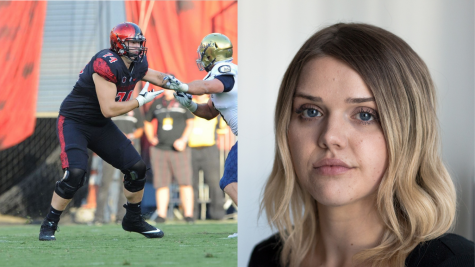 This almost-overnight success for SDSU and White has been in part from her ability to command respect and relate to her players on a deeper level than a coach usually can. 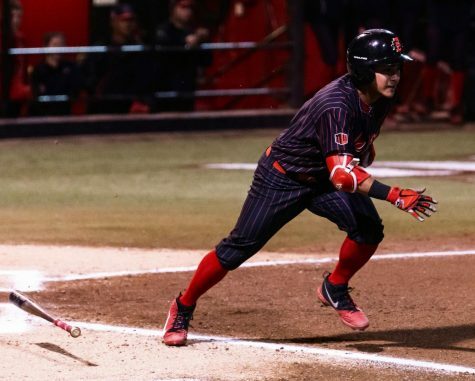 While most athletes trade in their cleats for a whistle after their playing career is over, White was still competing on the world stage during her coaching tenure, including her time with the Aztecs. A four-time member of Canadian World Cup teams, White has participated in three world championships while a member of a college coaching staff. The most most recent time came in 2013, when Canada lost in the finals to the U.S.
Aside from the awe factor that it provides in recruiting, White is constantly reminded of the rigors and wear the sport could put on one’s body because she still plays it. While her playing days are behind her, that does not mean that this former boarding school teacher’s passion has diminished. In fact, it has only allowed her passion for coaching to take center stage, and if it is anything like her playing career, it will be a fun ride.